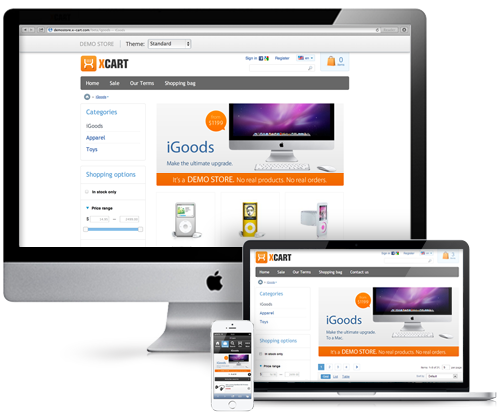 CS-Cart is an e-commerce solution that will allow you to design your own online store. You can sell your products in a specific country or even worldwide, using nothing more than your computer. The installation and configuration of CS-Cart is easy and the use of the application does not require any development knowledge. To help you get started with CS-Cart our Technical Support team provides Free CS-Cart Installation. By default CS-Cart comes with all-you-need for the development of your website. It has a built-in core modules for the payments on your website, the shipping, CMS system and even a beautiful default theme that you can use. There is a 30 days trial period for the CS-Cart once you install it. After that, your CS-Cart will automatically go into Free Mode, which will still allow you to use it, but with limited features. If you wish to use it's full power and features, you will need a paid license for the application. A full comparison of CS-Cart licenses will allow you to decide if you wish to proceed with that.